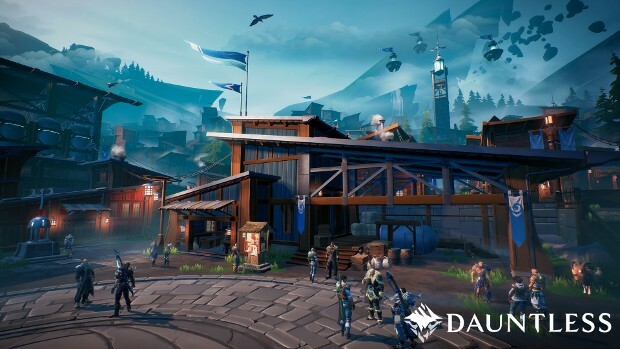 Dauntless is doing pretty well player wise. In just a little over a month since the game entered open beta in late May, the game has accumulated over 2 million players. The news of this milestone was announced today in a press release from Phoenix Labs. Although it doesn’t say if those are all active players or just registered. Regardless, the press release also contained some other good news for those players who are indeed active. There’s new content on the way. The Coming Storm is a major content expansion set to release on August 9. It begins when an Ostian Dreadnaugt crashes into Ramsgate, changing it both physically and with the addition of new NPCs, stories, and quests. The expansion willl also add a thorny new Behemoth, Koshai, as well as new gear for players to craft — including grenades. Players will even be able to get their hands on the first “truly ranged weapon” the Ostian Repeaters — just some of the technology the Ostian faction brought along with them when they crashed. While it’s not up on the Dauntless site yet, players will likely be able to find even more infomation on the new content there soon. “August 9”? really? I don’t think it’s a coincidence. lol … google “dauntless roadmap” for things to come. And comparing something that is starting out and it’s given to you for free with a full fledged payed game that’s like… childish at best. It’s probably possible for you to play smoothly, you’d just have to dig into scalability.ini to turn more things down. Ingame graphics options don’t go very deep yet, like how shadows can’t be turned off and are really intensive (but you can turn them off in the ini). So did they ever address the cheating problem? I mean, not to give anyone any ideas but cheating in this game is so easy that i doubt they even have any sort of anti cheat.